The approximate date of the original building ?1600. There are 12th century beams in the shop ceiling, possibly originally ships’ beams (source Mr Barnfield, Local History Survey 1980). Further comments from this original survey include the statement that the beams are certainly very old but the building has been extensively altered and added to. The ceilings are too high to be 16th century. There is some finger-moulded plasterwork upstairs, which may be early 19th century. The floors interlace with those of No. 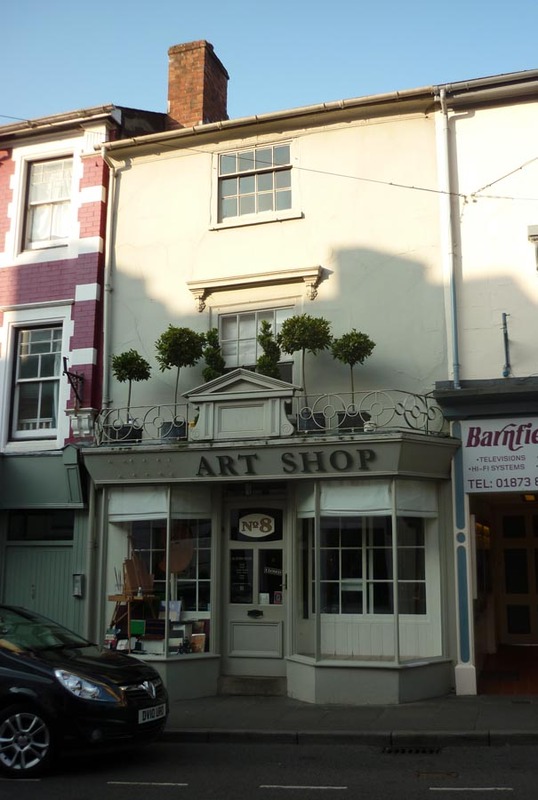 9 Cross Street. 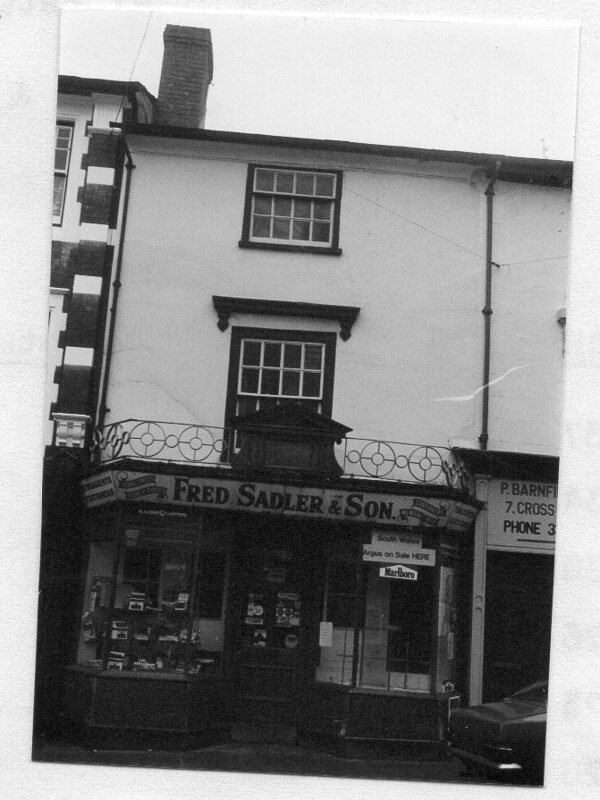 From statement by Mr Ernest Jackson (brother of Alfred Jackson) (source : Local History Survey 1980) : The Post Office business was carried on here. 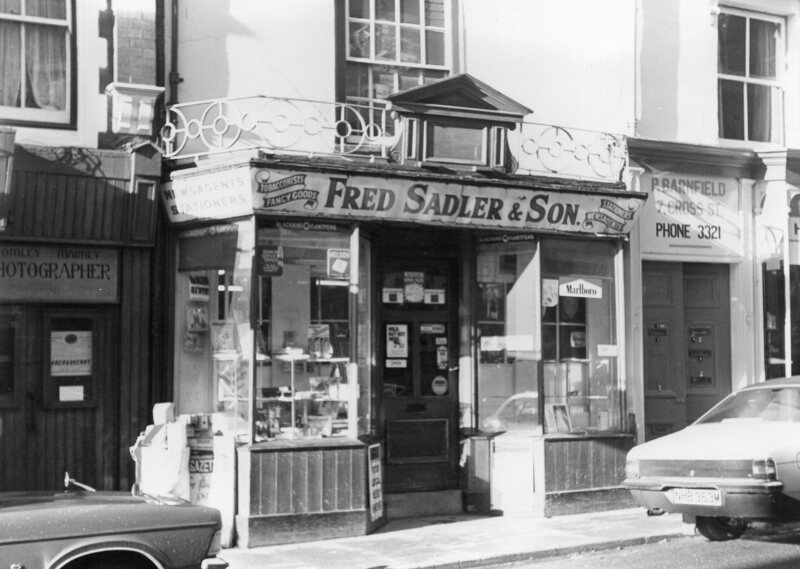 Advert in Abergavenny Chronicle in 1984 for “Sadler & Son, Newsagent, haberdasher and art supplies” and similar in 1991.